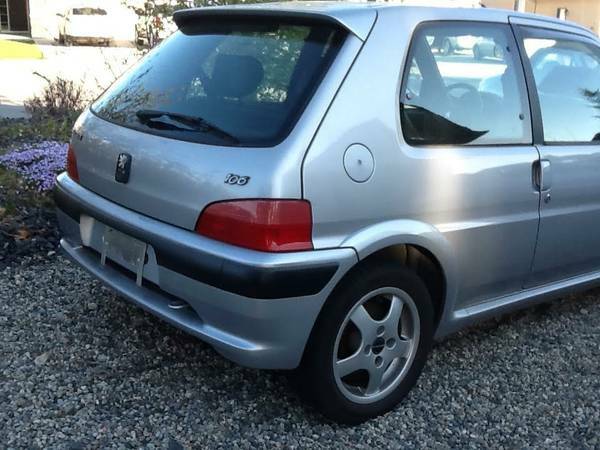 The Peugeot 106 S16 (16 valves in French, known as the 106 GTI everywhere else) was recognized as the spiritual successor of the 205 GTi – while the 206 grew and became less nimble, the 106 maintained the lightweight, tossable character of its older brother. Of course, none of that mattered in North America since Peugeot withdrew from the market in 1991, and had no success here with its compact cars. 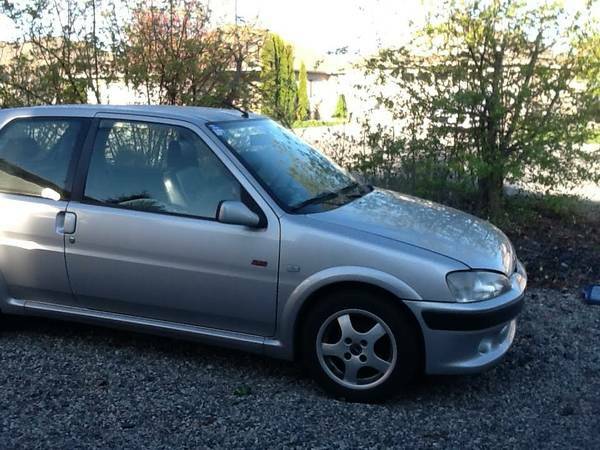 Nonetheless, they have their fans on this continent, and one of them is selling this 1999 Peugeot 106 S16 in Kelowna, BC for C$3900 (about $2900 today). Well, perhaps the 106 was not as compact as mentioned above, as the seller couldn’t fit the whole thing into one picture. This car is just on the right side of Canada’s 15-year import exemption, but you’ll need to wait another 9 years if you’re American, or at least if you don’t have a Canadian or Mexican address at which to register your prize. While the lack of any proof of the car’s location in the pictures is cause for concern, a quick image search does not yield any pictures of the exact same car. The car is said to have 160,000km, and the interior is done in black leather/alcantara upholstery for staying put while you’re winding it out in the corners. The car has a recent oil change, but will need brakes soon and has peeling clearcoat on the roof. But it’s not like you’re going to just wait for the next 106 to come up in the online ads, so your best bet is to do the needed fixes. It’s also said to have no rust, and to have been the seller’s daily driver until it was parked for the winter – a rather peculiar statement since autumn just officially started. So, who’s going to get themselves a Canadian PO box, register this reasonably-priced pocket rocket and daily drive it to the consternation of every French person in their area? This entry was posted on September 24, 2015 at 5:17 pm and is filed under Feature. You can follow any responses to this entry through the RSS 2.0 feed. You can leave a response, or trackback from your own site.